Creative Resources is an on-going series where we share knowledge in the form of tips, tricks, advice, and original tutorials. 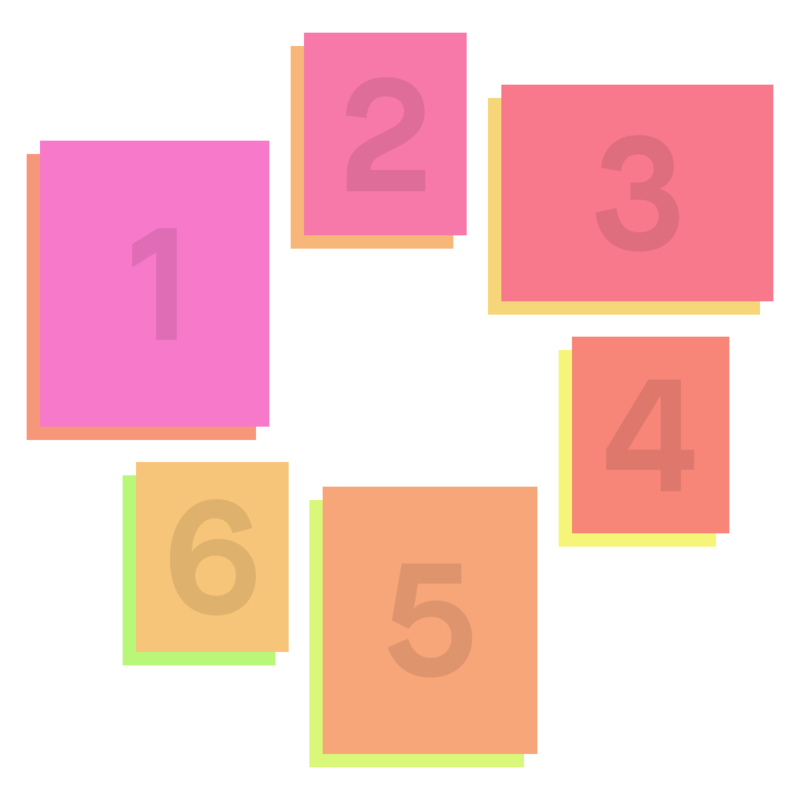 People often ask what app I’m using to create the carousel posts with images of different sizes and orientations on our Instagram (you can see examples here, here, and here) and I thought it might be helpful to explain how I’m making them. 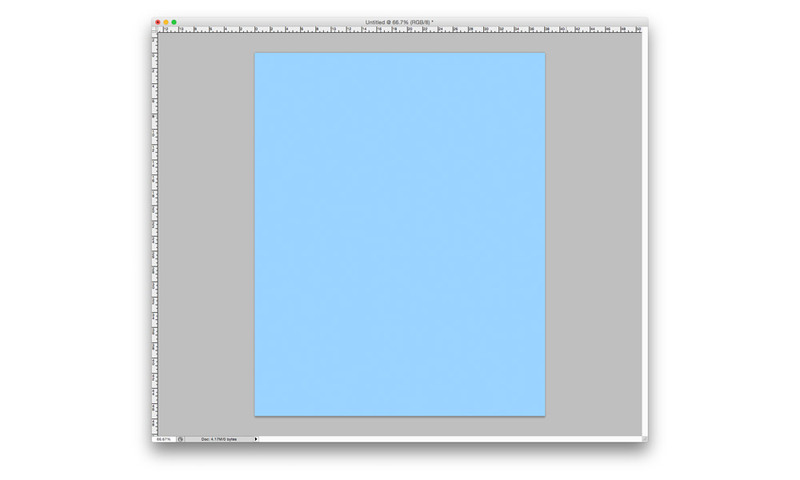 I don’t use an app, I use a simple template that I created in Photoshop, and I wanna explain how you can make a similar template for yourself—it’s really easy. All of our members can download the Photoshop template I created—simply log in and reload this page and you’ll see the download link below. There’s a text layer in the template that explains everything you need to know so you could skip this whole tutorial and start making carousel posts immediately. HOWEVER, you may want do the tutorial anyway, you might actually learn a couple new things about Photoshop! Okay, let’s do this. Right off the top, I should mention that any hotkeys I include here will be for Mac users, and I’m still using Photoshop CS5 so my screenshots may look slightly different depending on your version. We’re gonna start by creating a new document, and making the size 6480 x 1350 pixels. Hit OK, and then create a second document 1080 x 1350 pixels. Next we’re gonna fill the second document with a solid color (it doesn’t matter what color). If you want to quickly fill the canvas with black you can type [D] and then type [option + delete], alternatively you can go to Edit > Fill… > Use: Color… > Select a color. If your canvas doesn’t have rulers showing on the left and top, turn them on View > Rulers. Now you’re going to select all [cmd + A] and copy [cmd + C] and then click to your first document and paste [cmd + V]. You should have something that looks like this. We wanna move the rectangle to the left side of the canvas. Make sure you’re using the Move Tool [V] and click on the shape and drag it all the way to the left till it snaps perfectly (if it’s not snapping go to View > Snap to > Document Bounds). Now we want to turn on Guides, so go to View > Show > Guides. 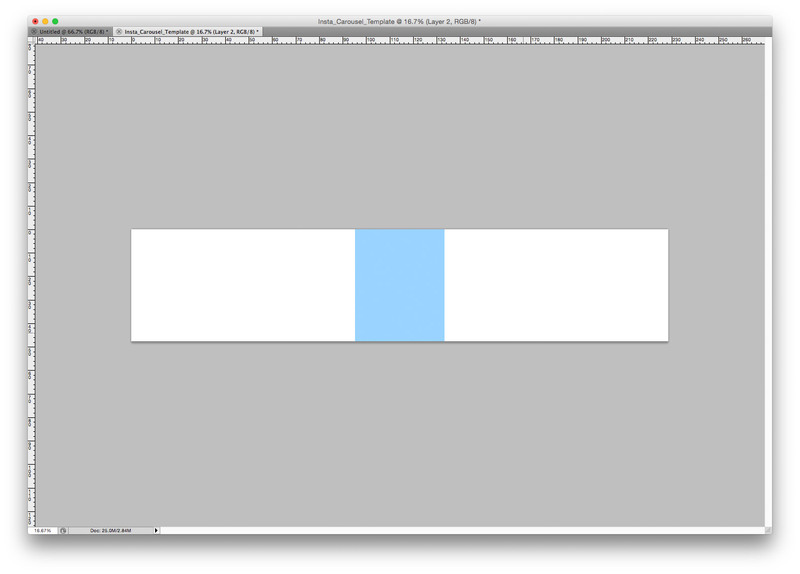 Click on the ruler on the left side and drag to the right and you will see a blue line (this is a Guide), drag it to the right side of your rectangle and let it snap perfectly to the side of it. 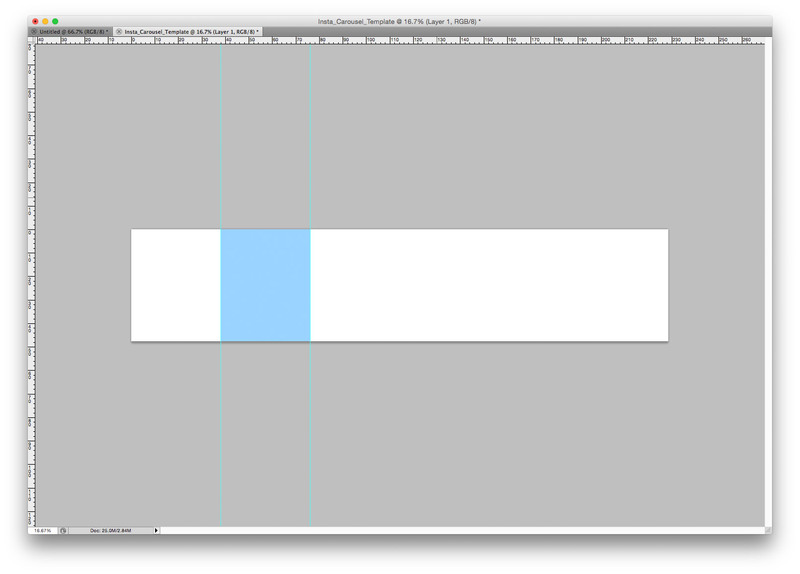 We’re going to move the rectangle to the right so that the left edge snaps to the Guide. 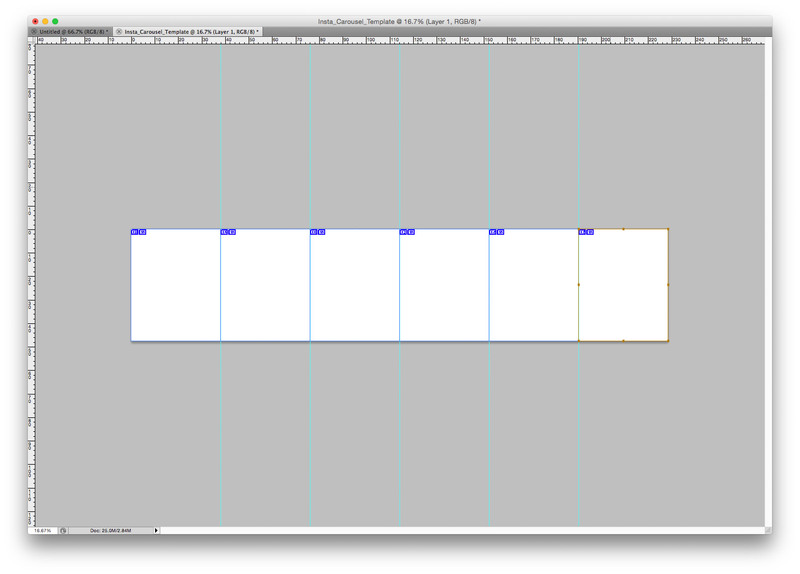 Then we’re gonna drag out a new Guide and snap it to the right side of the rectangle again. 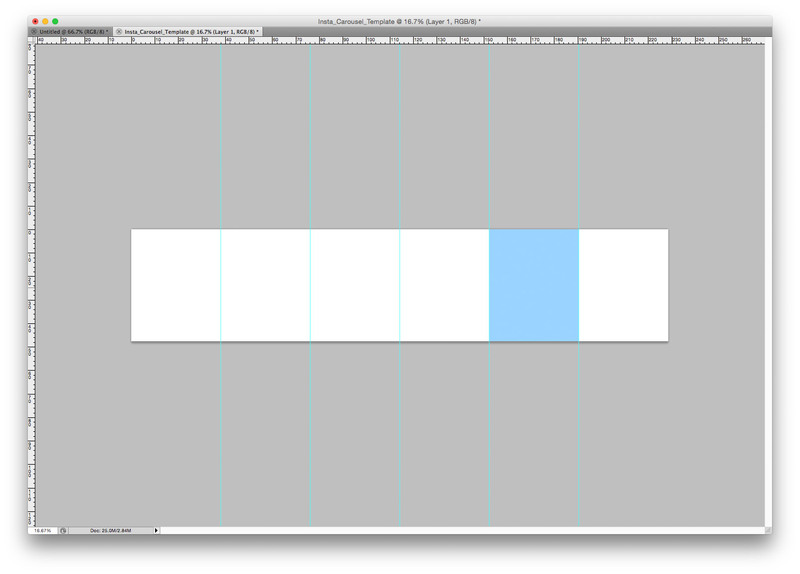 Repeat this until you have 5 Guides dividing your canvas into 6 equal sections. 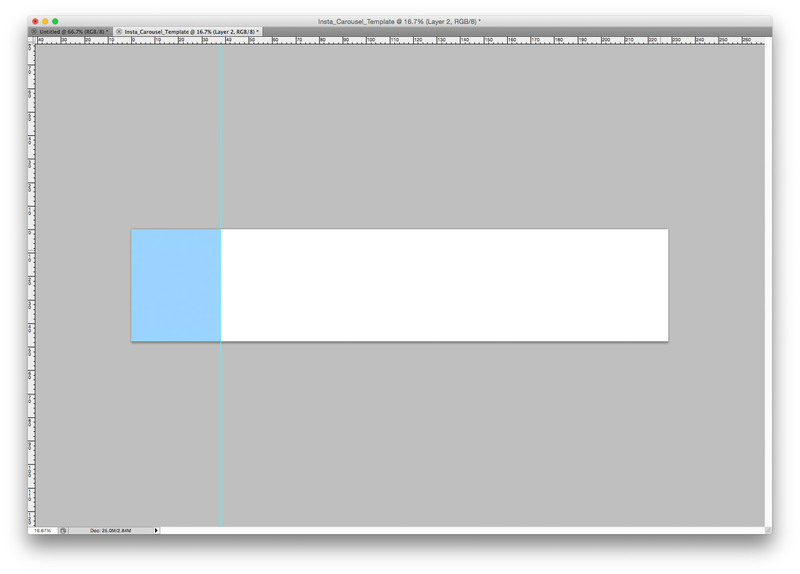 You can now delete this rectangle layer as well as your second document, as you no longer need either of them. 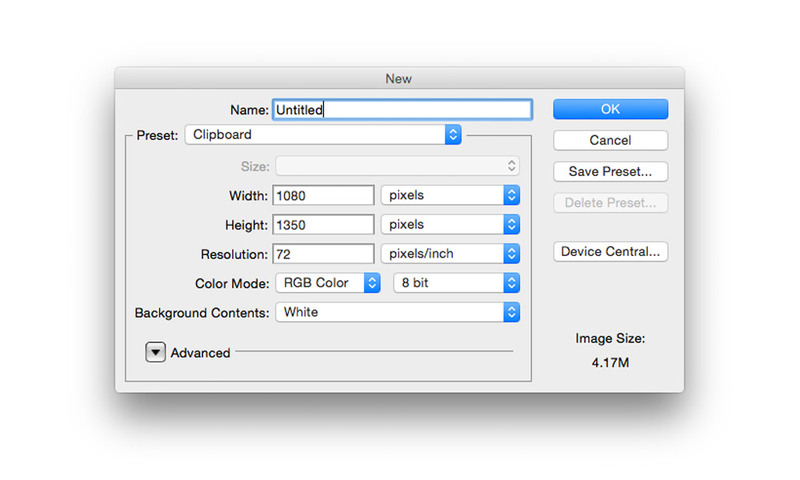 Now click and hold on the Crop Tool in your tool bar, and when the little menu pops up select the Slice Tool. We’re now going to slice our image using the Guides. 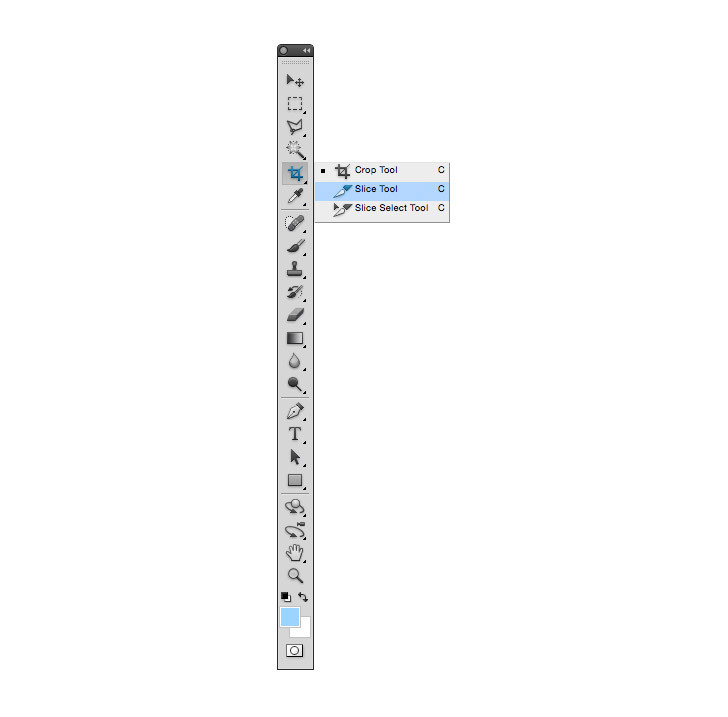 Click the top left edge of your canvas and drag right and down to the point where the first guide line meets the bottom edge of the canvas. 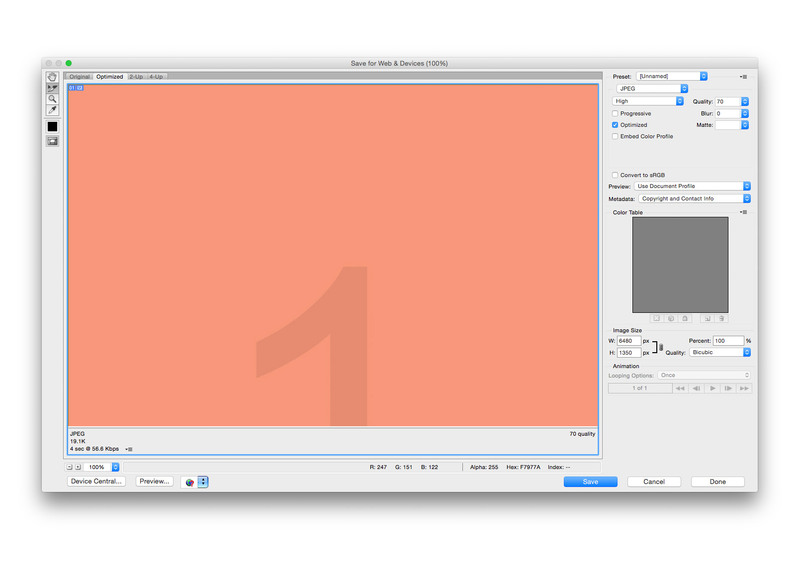 This creates a box (if it’s not exactly snapped to the dimensions of the first section you can adjust the box). Repeat this for each of the 6 sections and, believe it or not, your template is done. Save your file. Now whenever you want to make an Instagram carousel post, simply drag your images onto the canvas, and arrange them however you want. 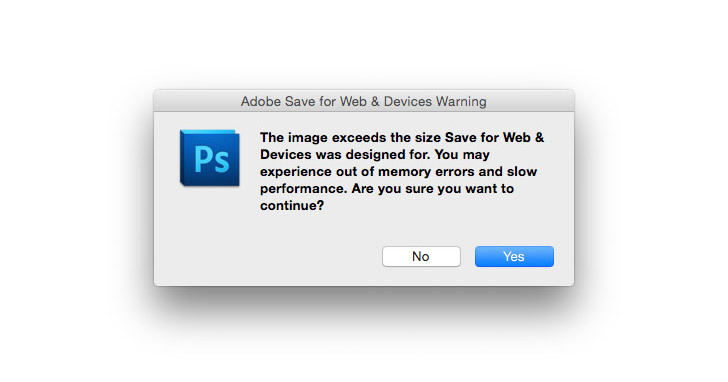 When you’re happy with it, go to File > Save for Web & Devices… you may get a little pop-up warning but just click Yes. I usually save JPEG with the quality somewhere around 70%. 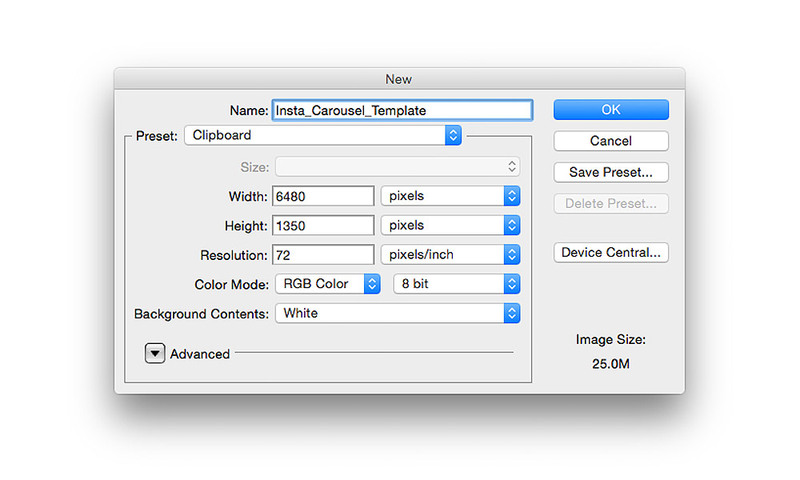 You want to keep your images fairly small so that Instagram doesn’t re-compress them too much. Hit save. 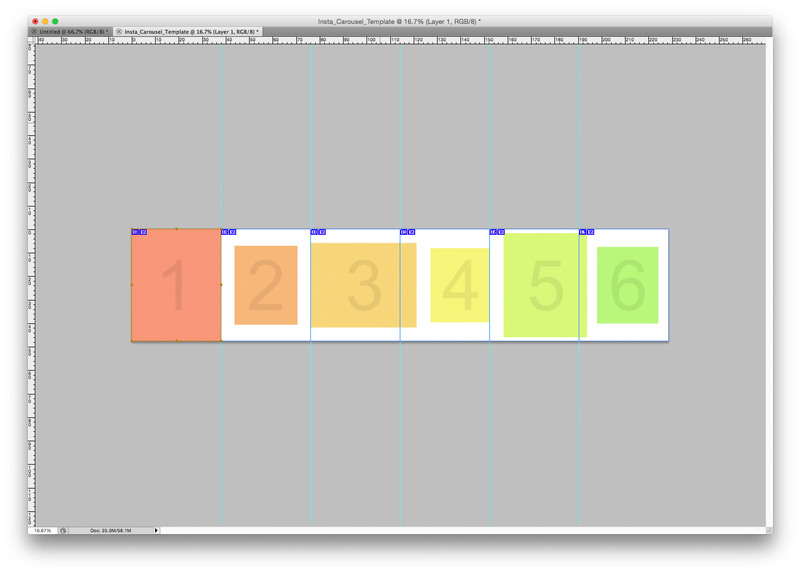 Now, because of the slices we created, Photoshop will spit out 6 separate numbered images. Transfer the images to your phone using either AirDrop or a file transfer app like Dropbox, and upload them to Instagram. Below you can see an example of one of our posts using this template! If you found anything here confusing, leave a comment and I’ll help you out! 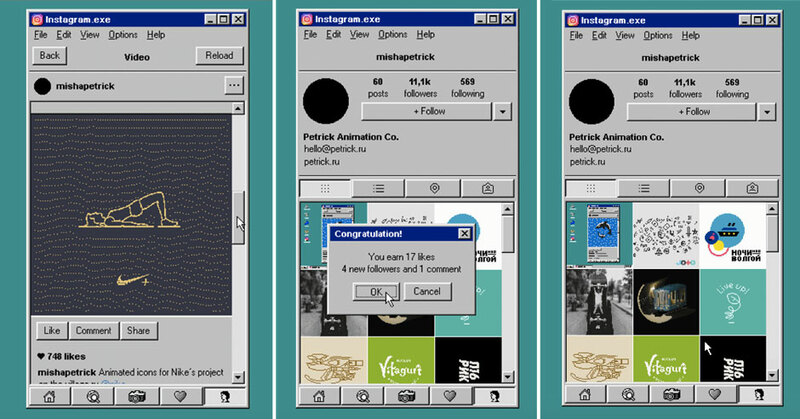 If you use the template to make a post on Instagram, send me a link, I’d love to see what you made.